A suspicious group of twitter accounts tweeted a string of repeater tweets overnight on January 4, 2017. I took screenshots of the accounts & tweets and since it’s a small network, did a quick study to examine what the accounts are doing. It appears this network is boosting a few media outlets, mainly Excelsior, known to be a government mouthpiece. Update Jan 5, 2017 11:09am est: The link to the original Excelsior article is no longer working. A duplicate of the original article is still online at El ojo cibernético and I translated a screenshot of the original article further down in this blog. The small tweetstorm happened in the context of the #gasolinazo protests that are occurring across Mexico over the hike in gas prices. There are road blocks in at least 20 states and protesters have shut down gas stations throughout the country. Over the past 24 hours, incidents of people stealing fuel and looting supermarkets and gas stations occurred resulting in (as of time of writing) an unknown number of arrests. 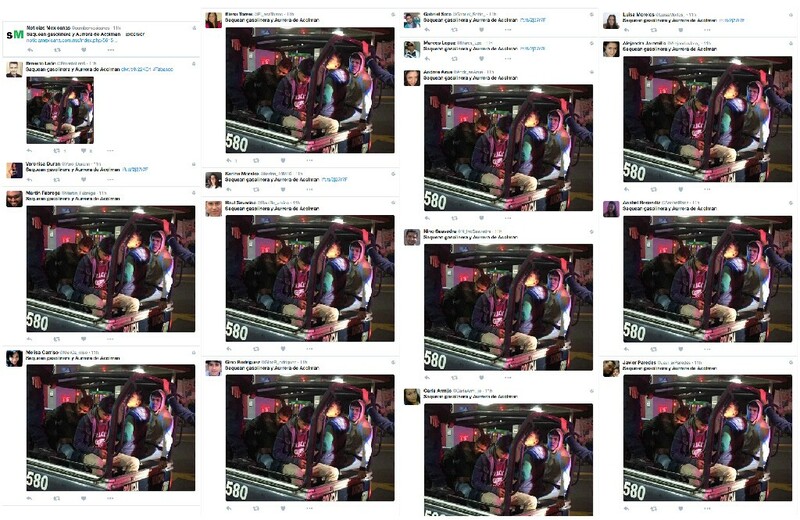 Netizens on twitter denounced that bots were attempting to discredit the #gasolinazo protests, portraying the protests as violent and encouraging looting. 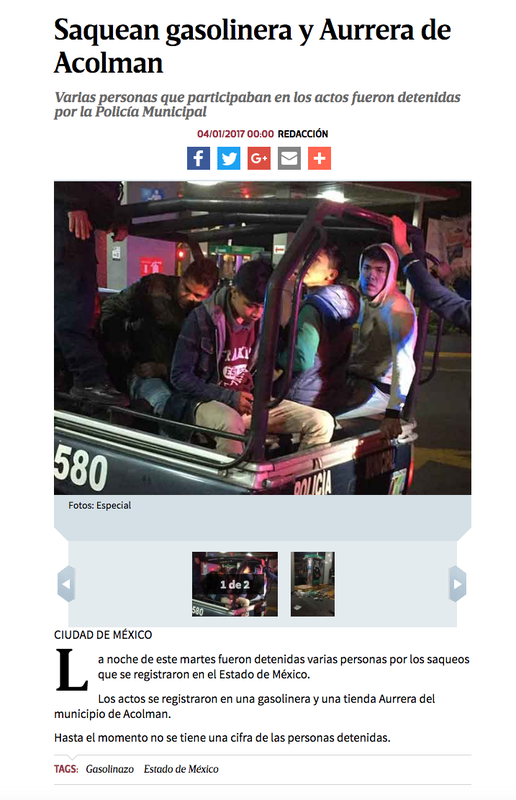 A reply to LoQueSigue says, “the photos were taken from the perfect angle… I’d be scared to take them so close” — the photo is 4 people who were detained for looting in Acolman, they’re shown sitting in the back of a police vehicle. I looked at the accounts that participated in this tweetstorm and found 20 fake twitter accounts, 2 media-related twitter accounts and 2 facebook pages that appear to be working together. 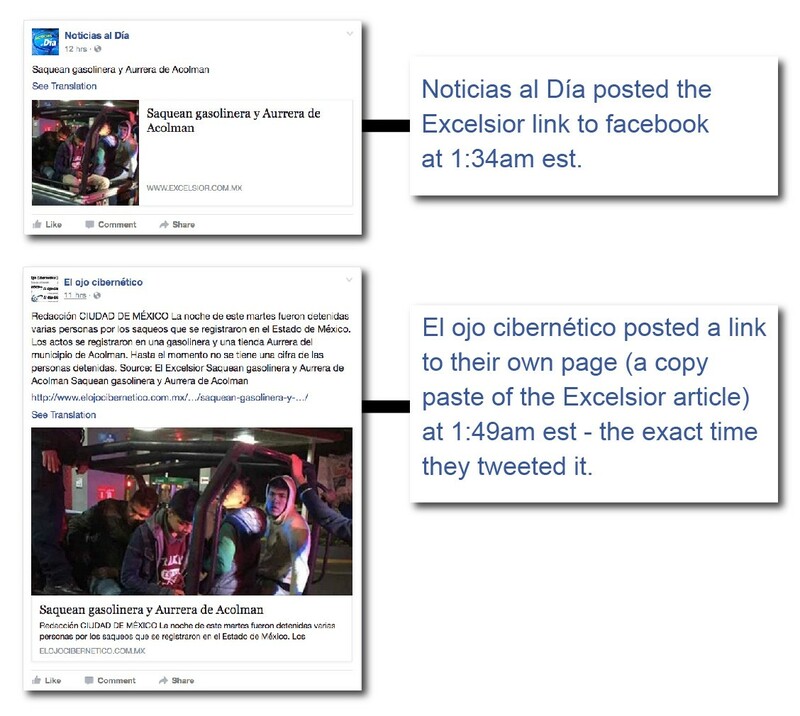 With one exception (Noticias Mexicanas) all of the above twitter accounts are tweeting links to Excelsior. The 2 facebook pages also seem connected to this network. 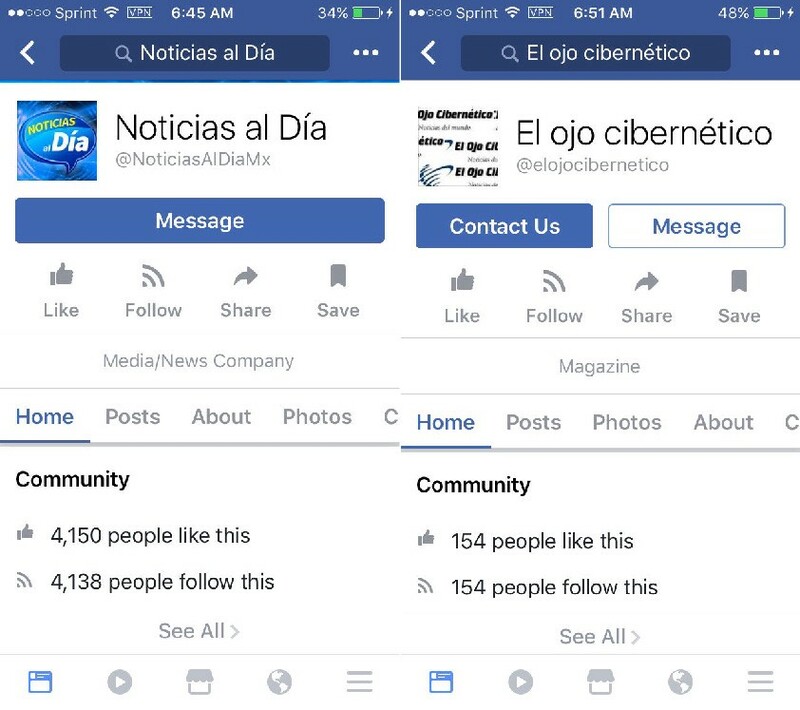 Noticias al Día posts only links to Excelsior and El ojo cibernético posts links to it’s own website which is laundering Excelsior articles, among others. All of the “people” accounts seem like they were made from a template. 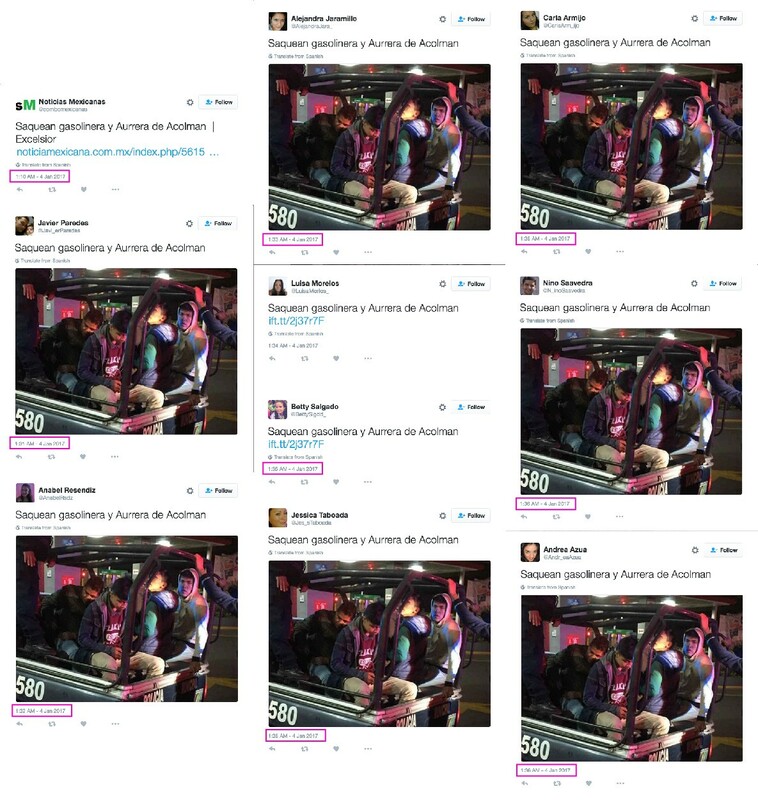 Next I grabbed screenshots of each tweet (and 2 facebook posts) in this tweetstorm. The timing of the tweets was automated. All of the tweets and the 2 facebook posts were posted during the same timeframe starting with Noticias Mexicanas at 1:10am. 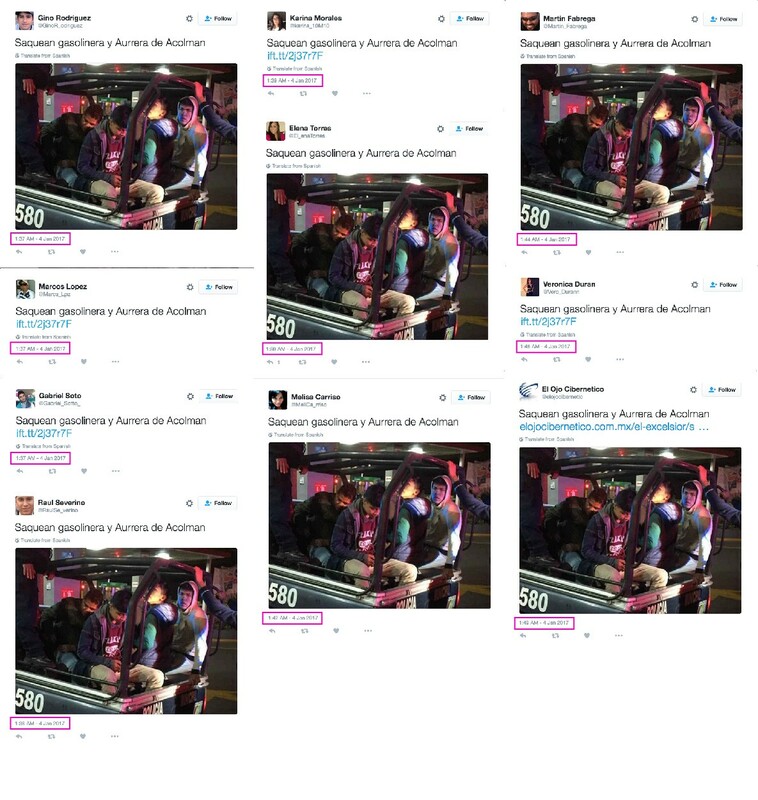 Javier Paredes then tweeted the first of a series of automated tweets at 1:31am which continued every minute or so until 1:49am. Timestamps are eastern standard timezone. This Tuesday night several people were arrested for lootings that took place in Mexico State. The events occurred at a gas station and Aurrera store in the municipality of Acolman. So far, the number of people detained has not been released. The accounts that participated in this small, late-night tweetstorm spreading Excelsior news appear to tweet Excelsior articles 24/7. 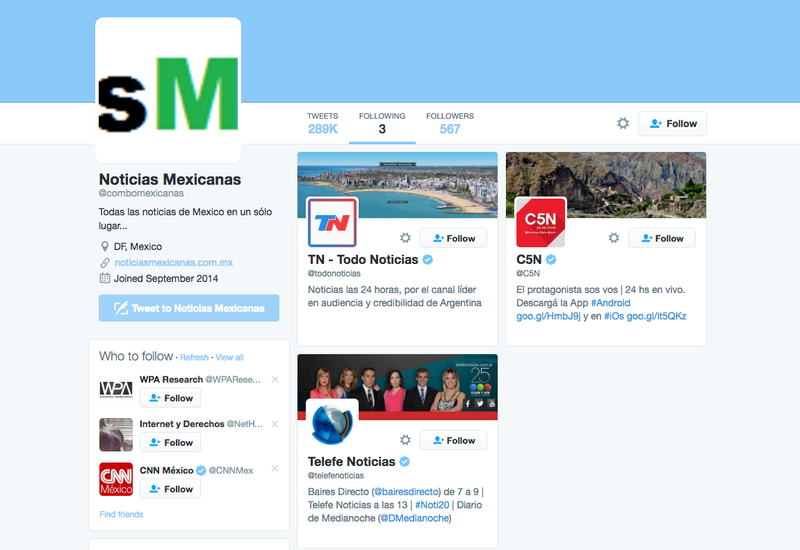 This network of accounts is likely tweeting official messaging from the Mexican government. 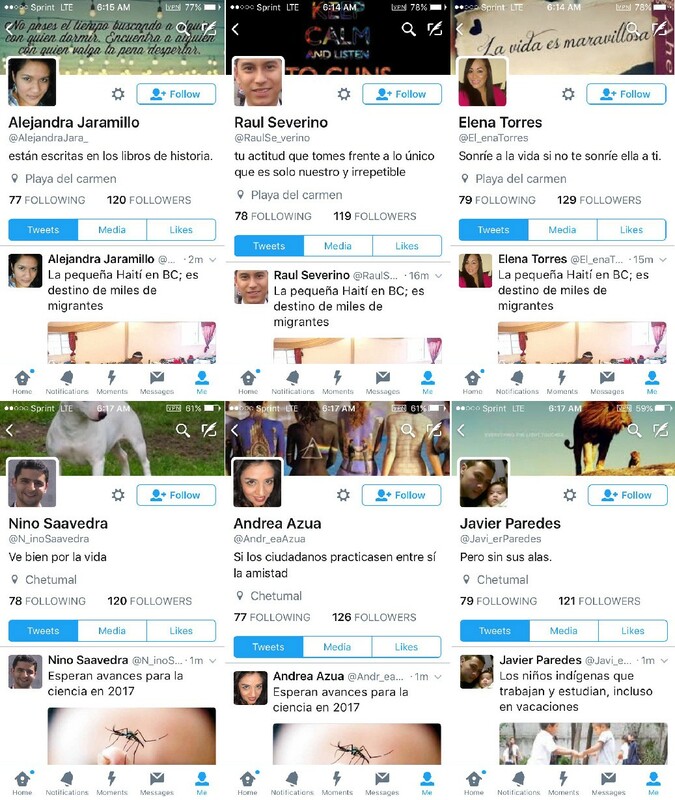 Noticias Mexicanas seemed like an odd account in the grouping of Excelsior twitter bots. It’s an automated news aggregator that tweets links to its own wordpress blog, similar to El ojo cibernético, only Noticias Mexicanas is tweeting links that cite several Mexican news sources instead of just Excelsior — all are media outlets known to toe the government line. In conclusion, this appears to be a network of bots connected to a few Mexican media outlets and is likely boosting official government messaging on social media and possibly also in Google SEO rankings. Related: ¿Quién está generando caos y psicosis colectiva en Azcapotzalco y en GAM? Author’s Note — Jan 5, 2017 1:35 pm est: I really did not expect such a huge response from this blog, 20 accounts is a very small network. This type of activity has been documented in many countries. It’s important to note that this is not just happening with a few media outlets or only in Mexico and it’s difficult to say with certainty who is doing it or why. I recently published a series of blogs about bots & trolls with the intention to share information and hopefully learn more about this phenomenon. I made separate entries with lists of news articles from Mexico and around the world for others to use as resources. Multimedia artist, writer and translator. Digital news junkie, agitprop collector.